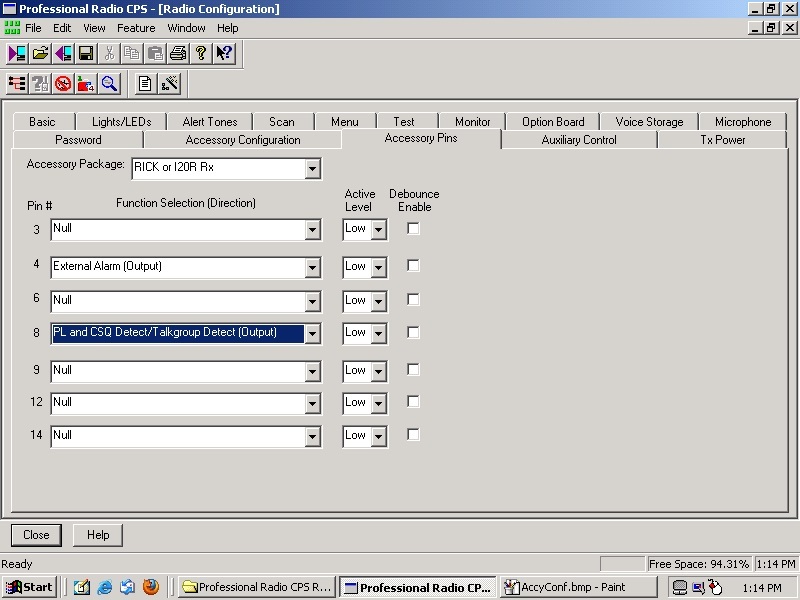 This page describes what needs to be done to modify the CDM conventional series radios for Out-Of-Band frequency entry. 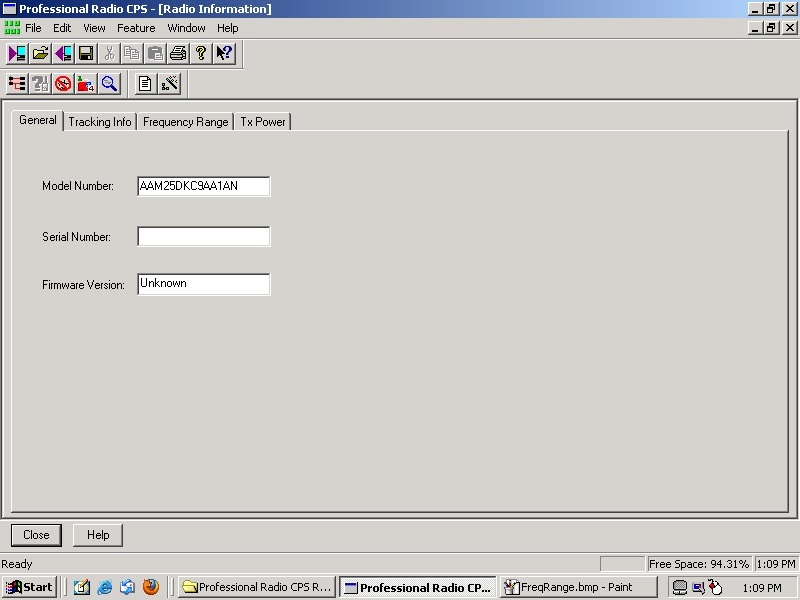 This page will describe how to modify (hack) the CDM750 series radio CPS to program Out-of-Band. I've been wanting to replace my current 6m repeater receiver with something that was more conducive to this type of service instead of the old lo-band fire monitor that I had been using. So, in searching around I decided on a CDM750. I found one that was a low band, high split and figured that would work fine, as I had seen others using them. I also figured that programming it wouldn't be too difficult. Well... I was wrong - sort of. It seems that unlike the majority of Motorola programmable radios, that will go out of band fairly easy, these little beasts will not without hacking at the actual programming software as opposed to the codeplug like some of the others. Needless to say, a "hex edit" of a code plug or the software is pretty much the same thing, and pretty much no big deal. So.... off to do research I went. The first thing that needs to be done is to Hex Edit one of the .dll's buried in the computer for the software. I'm using CPS 06.12.02, and the majority of the information I found pertains to that version. 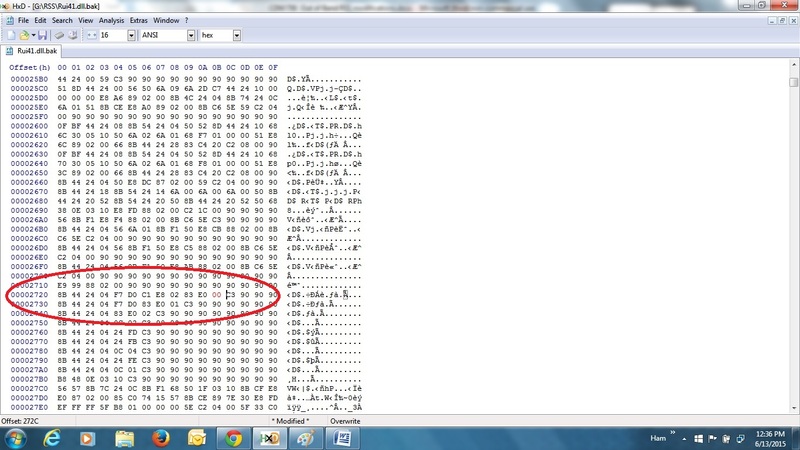 Also, I'm using HxD for a hex editor and that also works flawlessly. The HxD software can be downloaded here. The following instructions are exactly what I located off another site. I'll include some screenshots too as well as a few useful hints. Follow these exactly, and you'll find that you won't have any trouble programming the CDM's Out-Of-Band. Now, I can not confirm on any other models or versions, nor can I confirm how far out of band you can go. I only know that I accomplished what I needed to do, and here's how I did it. One more thing, BEFORE you hex edit anything, back it up in case you screw up! 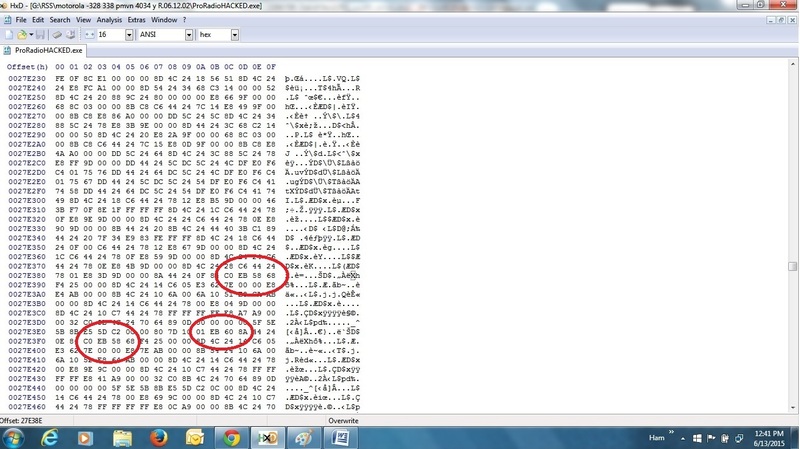 In your computer, navigate to Program Files, Common Files, Motorola, RDK and find "rui41.dll". Once you find the .dll, go to properties, and uncheck the "read only" attribute, and save that. Now you can actually "edit" it. offset 0x00002720 "83 E0 01" change to "83 E0 00" - this file has been the same revision for all CPS versions for many years. 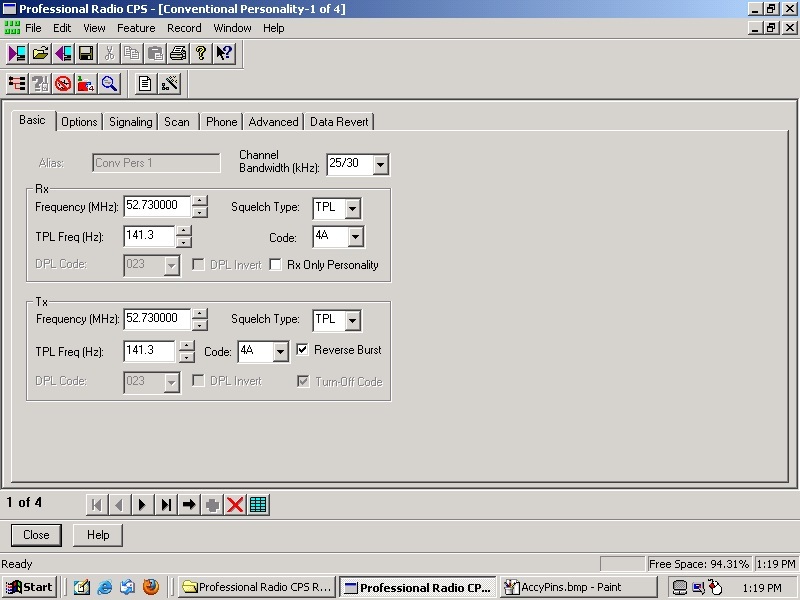 This change causes the normally 'read only' text boxes in the 'radio information' screens to become writeable. After you've made the change, save it, go back to properties and re-check the "read only" attribute. 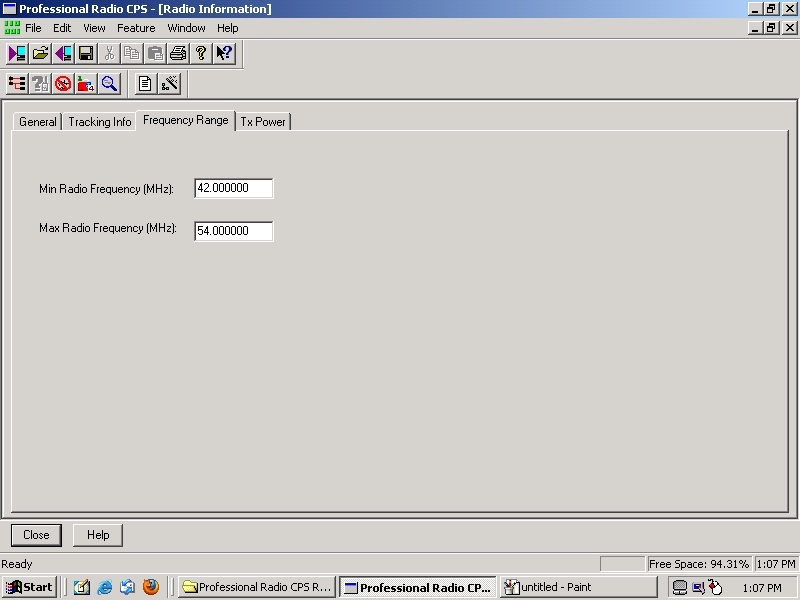 This just shows where to change your frequency range in the CPS once you get to that point, and that you can now actually "change" it. offset 0027E380 - change "75 58" to "EB 58"
offset 0027E3E0 - change "75 60" to "EB 60"
offset 0027E3F0 - change "75 58" to "EB 58"
1) Read a radio or codeplug. Change the min & max fields in the 'Frequency Range' fields to the desired values. 2) Save the codeplug first with the new bandsplit. 3) Re-open the saved codeplug & enter some out of band frequencies...the CPS should not mark them red for invalid, since your new bandsplit covers it. 4) Write it into the radio. You'll get a warning you're about to write an 'upgraded' codeplug to the radio. That's fine, just ok that & it should allow it to write to the radio. Set the value to: "MAHUS" (without the quotes) and restart your CPS. That pretty much covers it. I'll also include a few other tips and images for reference. I also am just using this radio basically as a cross-band repeater, Lo-Band receiver to UHF transmitter, as the 6m repeater is a split site. So, I decided to try one of those little repeater maker thingys, which does exactly what it needs to do, grab the receiver audio and COR and stuff it into the link transmitter radio which is a UHF GM-300. One word of caution when using those little gizmos, is to make sure you've got it orientated correctly and the radio acc'y pins are programmed correctly. I also added the ignition sense line from pin 10 to the RX gizmo. Model of CDM750 used for the project. 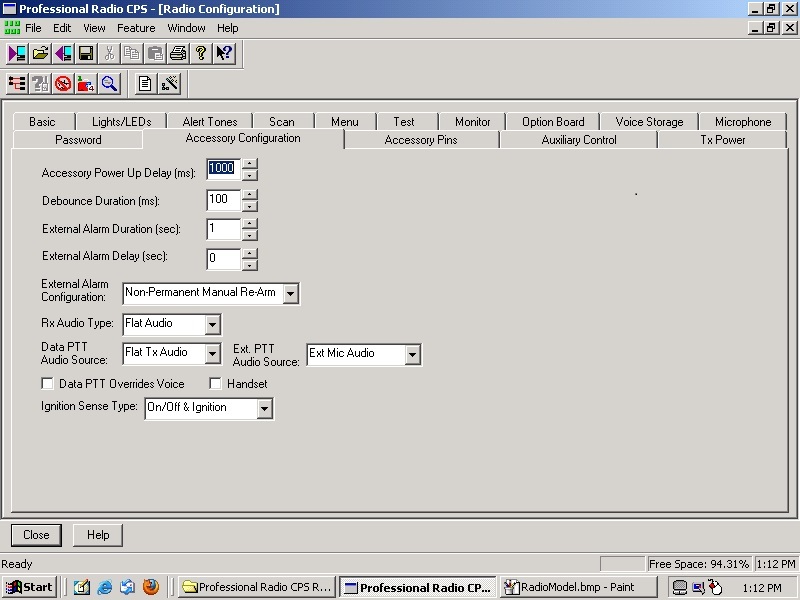 This is the end result, and showing the CDM receiving a signal and making the GM300 re-transmit it. Modifications made to any equipment based on the information contained on this or any ZedYX pages are AT YOUR OWN RISK!